Free admission on September 12th, 2015 to the family friendly fly tying and fishing festival in Glide Oregon. 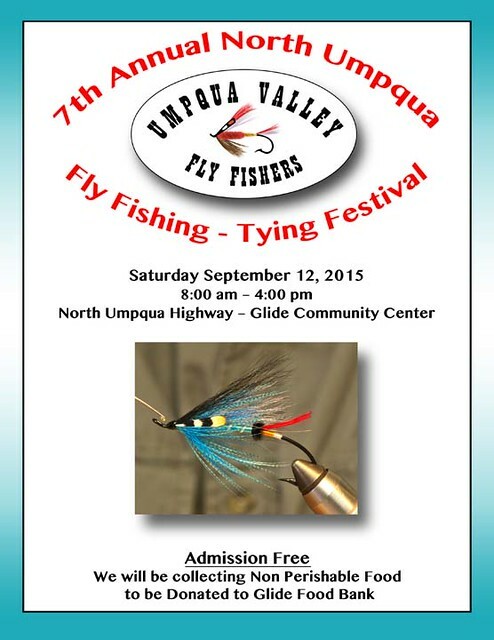 Umpqua Valley Fly Fishers will host 25 fly tiers from around the Pacific Northwest. 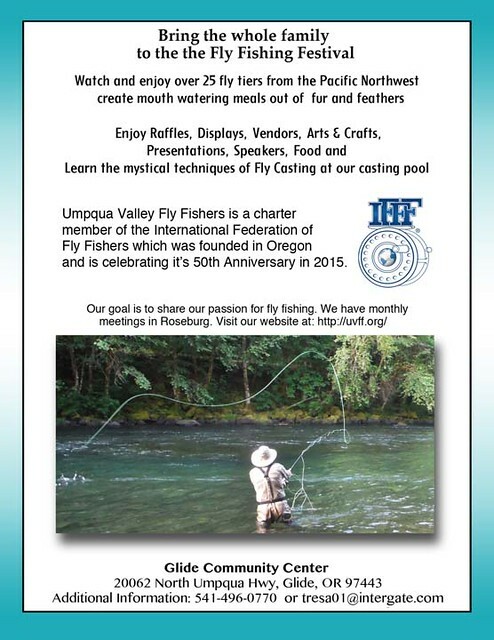 Casting instruction and fly fishing presenters will be at the event from 8am until 4pm at the Glide Community Center. This entry was posted in Classes and Instruction, Oregon Fly Fishing Clubs and Events. Bookmark the permalink. best by far fly fishing show in the roseburg area, put on by the Umpqua valley fly fishers each year and held in glide. A must see/go to ! !